Peter Owen Publishers, 9780720612271, 200pp. One of the best of the celebrated Claudine novels, this installment follows the sexual and emotional machinations of three upper-class youths in a remote farmhouse, where the protagonist of the series awaits her husband Renaud's return from a Swiss sanatorium. She distracts herself by encouraging her young friend Annie to recount salacious episodes from her love life. When Renaud's homosexual son Marcel arrives, Claudine sets about matchmaking, a fiasco she bitterly regrets. With Renaud's death, Claudine's ennui is transmuted into resigned suffering, but she gradually allows the rhythm and beauty of the natural world to reawaken her desire to live. 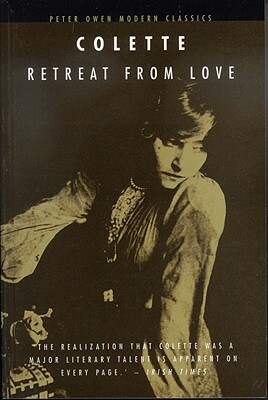 Colette was the author of the Claudine series. She was the foremost French woman author of her time and established herself as an outstanding talent whose novels and prose-works were notable for their sensitive understanding and portrayal of nature and country life.